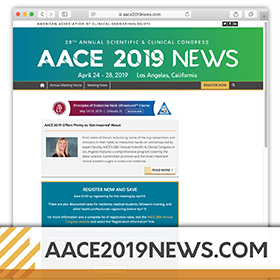 The American Association of Clinical Endocrinologist has a wide array of events and training sessions for their Fellows-in-Training at AACE 2019. Join your peers and for an insightful, invigorating, and absolutely inspirational experience! Chaired by Dr. Vin Tangpricha and Dr. Geetha Gopalakrishnan (Past President of APDEM). - Featuring Kelley M. Skeff, MD, PhD and Georgette A. Stratos, PhD from the Stanford Faculty Development center for Medical Teachers. Would you or do you know a rising endocrinologist leader who wants to get involved with a professional society at a national level? Advocate for the interests of endocrine fellows across the country? Learn about the process of developing policies and clinical guidelines? If so, consider nominating yourself or them for a position of Fellows-in-Training Representative on the American Association of Clinical Endocrinologists’ (AACE) Board of Directors during the 2019-2020 Association year.